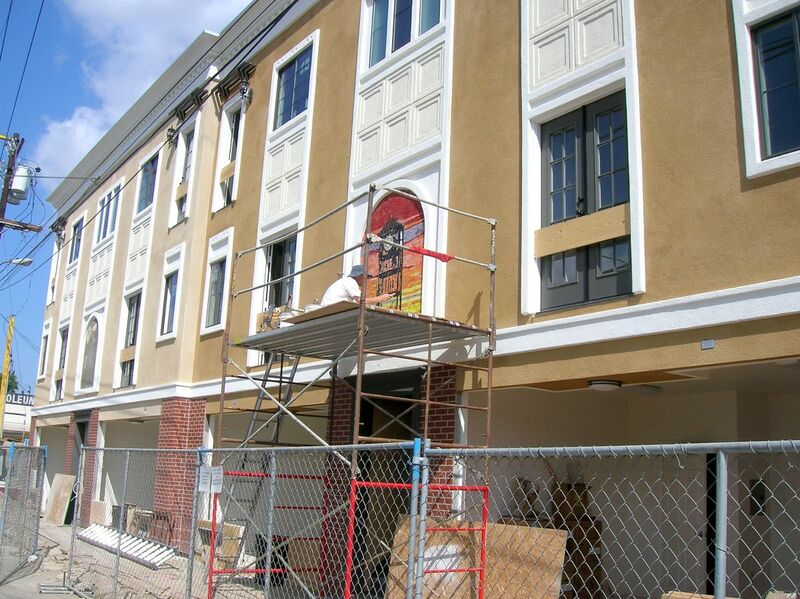 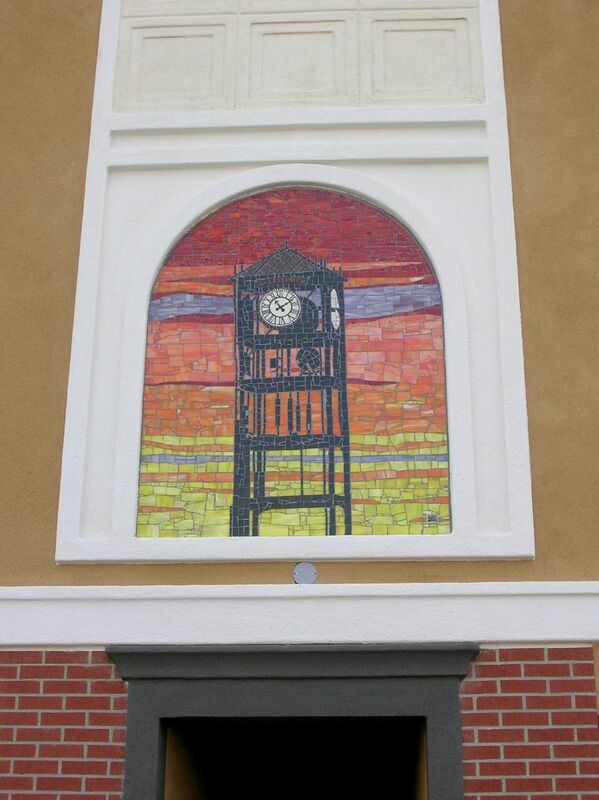 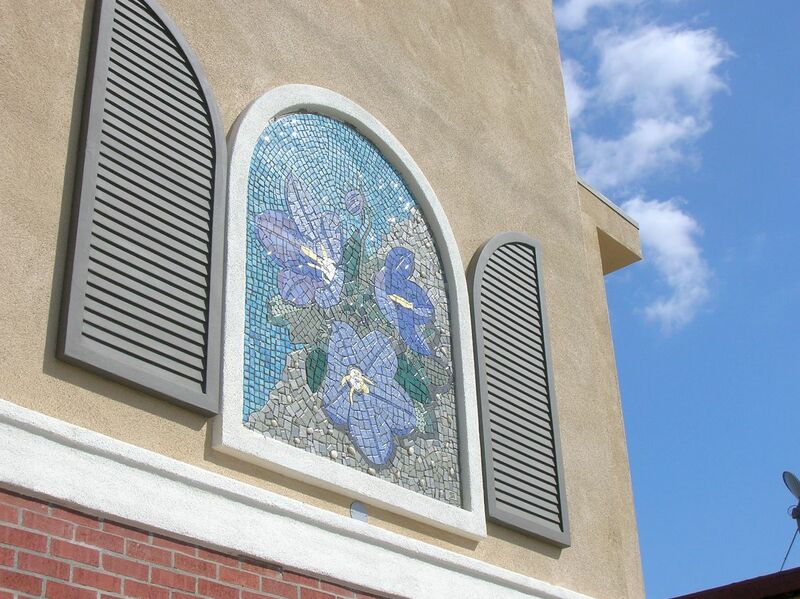 This project was part of a downtown revitalization program in Bellflower, California. 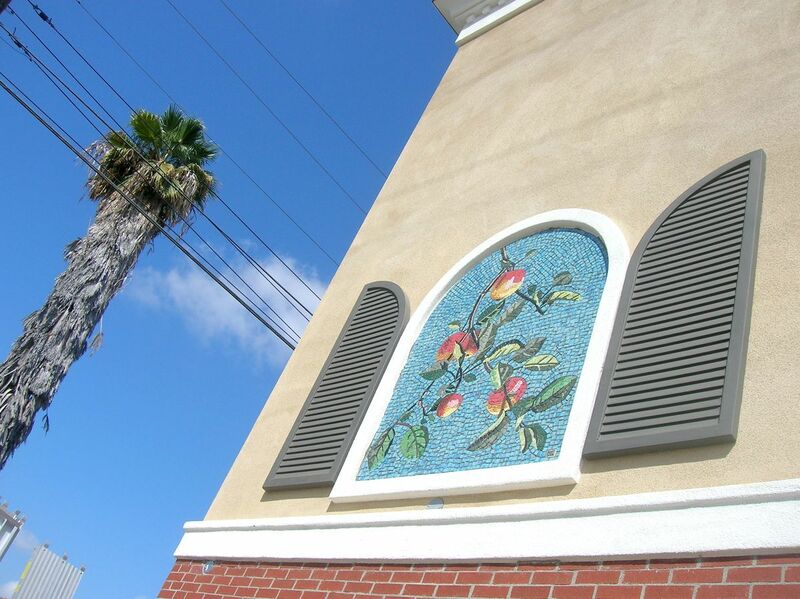 �I was asked to design five panels that depicted various aspects of Bellflower and once the designs were approved by the city, I was able to mosaic them onto fiberglass mesh at home. 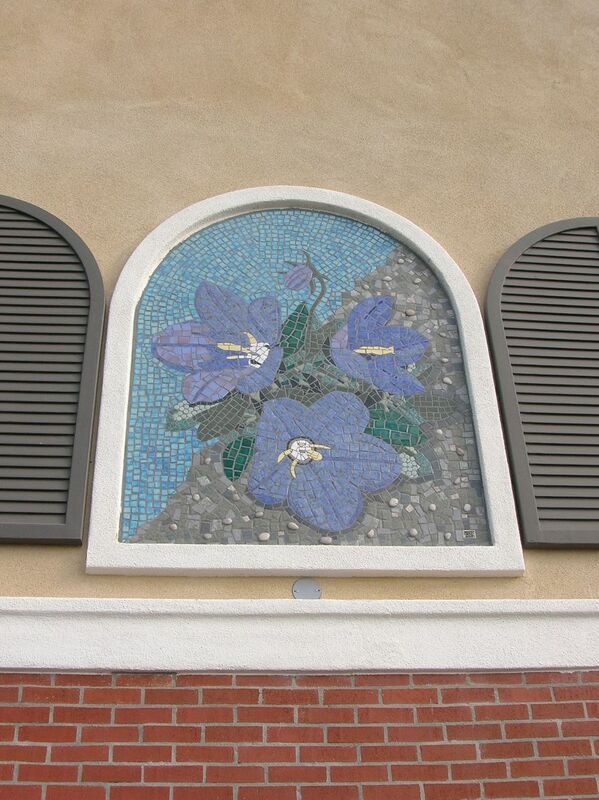 It took me 3 1/2 months to complete the five panels, each of which measure five feet wide by six feet tall. 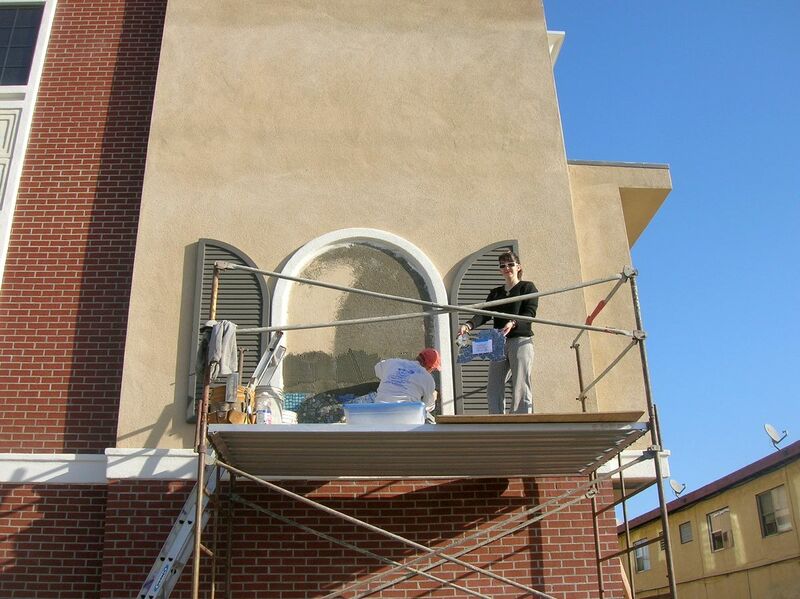 When each one was finished, I cut the mesh up into smaller pieces, packaged them up and put them in my car. 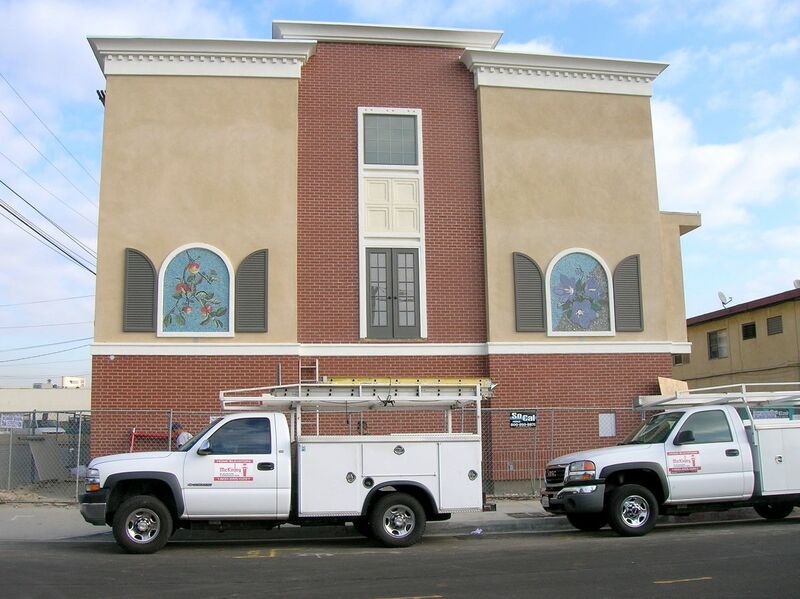 Then I drove to Bellflower and worked side by side with the tile installer on a makeshift scaffolding that was disassembled and re-assembled as we installed each panel. 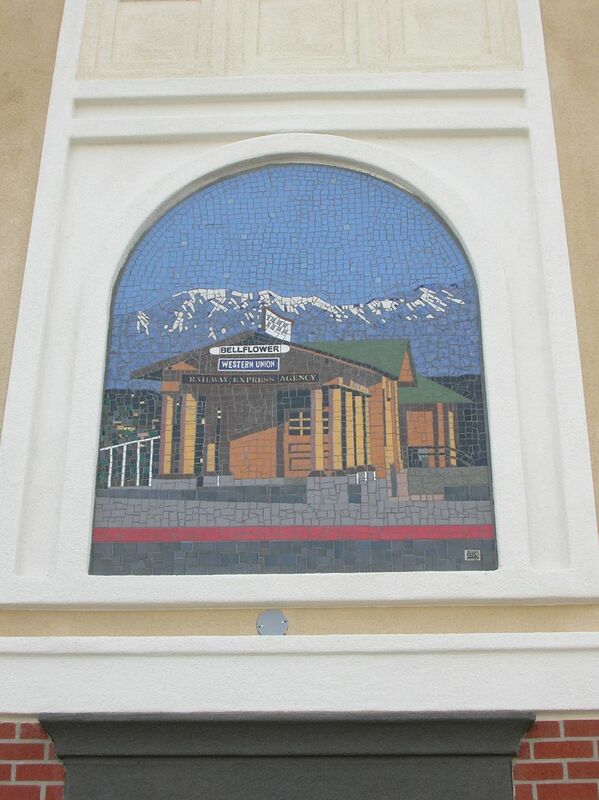 It took one day to install them all and one day to grout them all. 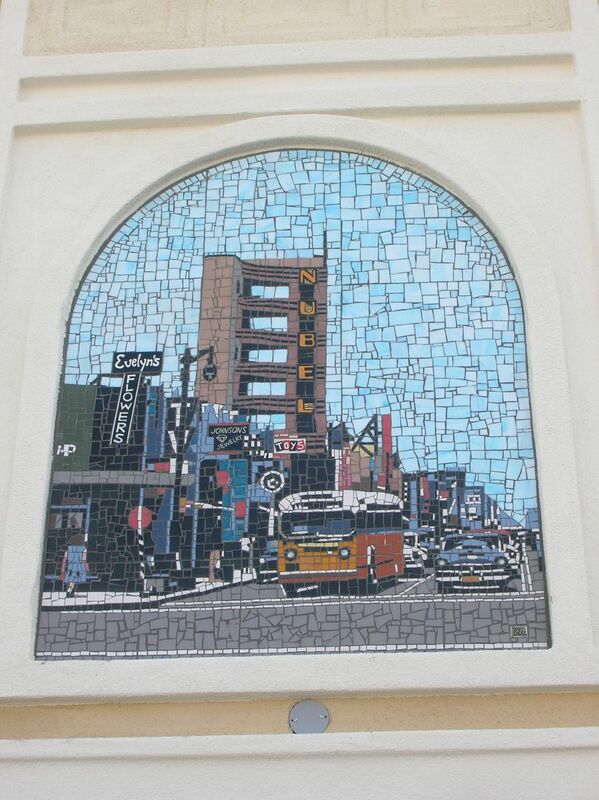 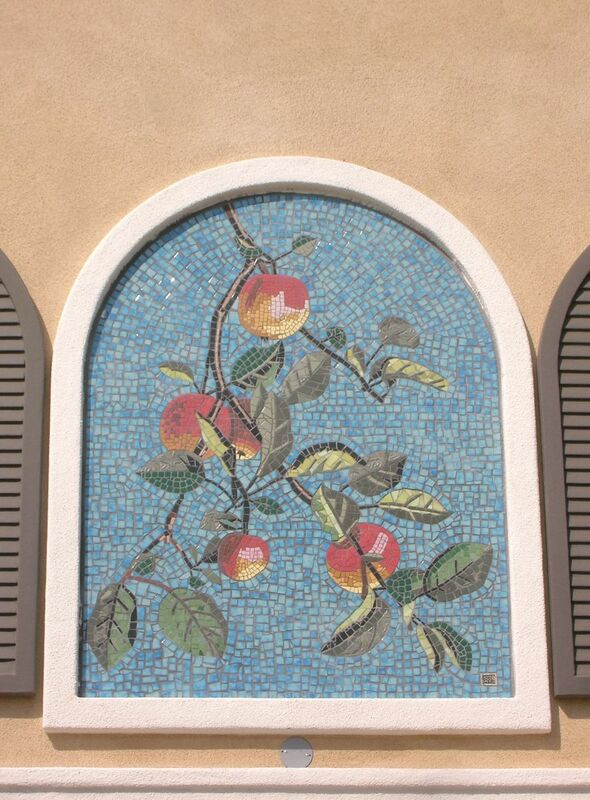 You can view the process of making the mosaics on my blog at:robinindar.blogspot.com�archived in May through September of 2009.